I’m involved in a number of different businesses outside of niche websites. I am a HUGE fan of software based businesses. For that reason, I thought it might be interesting to share a “live” case study of a software that Perrin and I are developing. Its a big idea that we hope to develop into a great business. 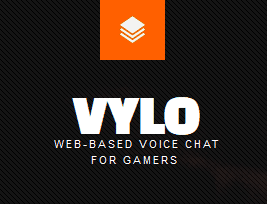 The product we created is called Vylo.org, a web-based voice chat software for gamers. Hopefully this case study can give you what you need to know to go out and create your own software business as well. You can read all the updates to this project below. Just want to congratulate you and your team on a great site and kudos for being transparent on your experiences. Also, if you are still open to comments re : VYLO, may I suggest you first determine why your pilot users use you vs someone else, then determine how to adjust as/if needed. If you have already done this, then perhaps you can share their comments, etc. on your next update. ie I noticed in the 2014 comments a lot of well meaning suggestions from your readers and some feedback from your team re: how your product is different from their perspective…but I have found that gathering comments directly from users will make a difference, especially as compared to alternatives. Even when working with the largest tech firms in the world who have the marketing might and resources, even they may get surprised when we hold sessions involving their sales channels and end users. This is something that can easily be done by yourself and team. Hopefully this can be done before you invest too much time/money into a venture. However, the advantage of having a product like you do is that you are now i a great position to get more concise feedback. Only when you are able to hone down to the point of difference (ie. your advantage) that the customer cares about, would it make sense to see how best to take action to really go out and play to your strengths to win.